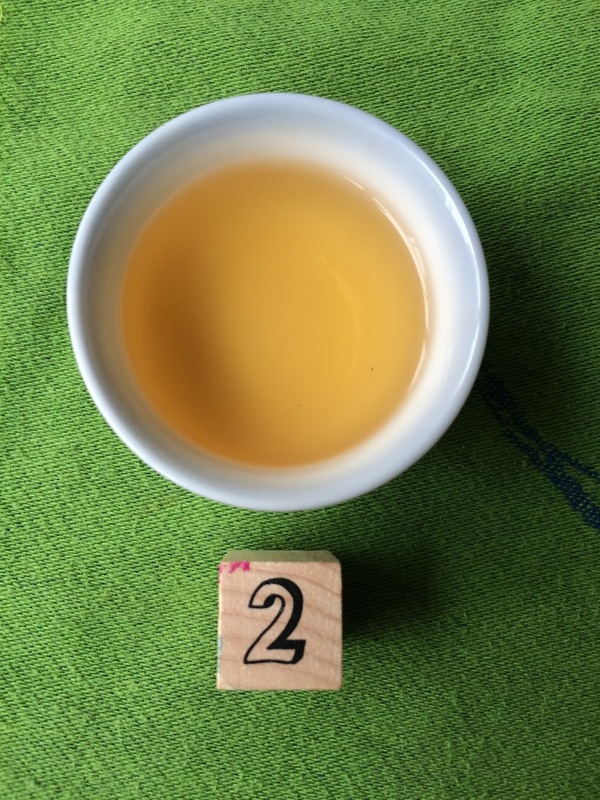 I drank a flush of Darjeelings a couple of weeks ago, the teas provided by Golden Tips Tea. 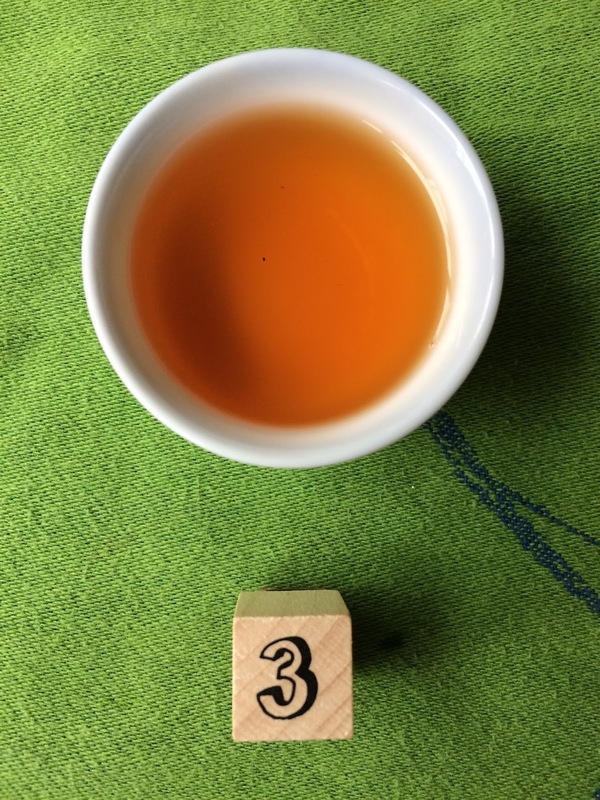 There were five teas in total - (1) Giddapahar Muscatel, (2) Thurbo Moonlight Darjeeling, (3) Goomtee Darjeeling, (4) Arya Ruby Darjeeling, and (5) Castleton Moonlight. 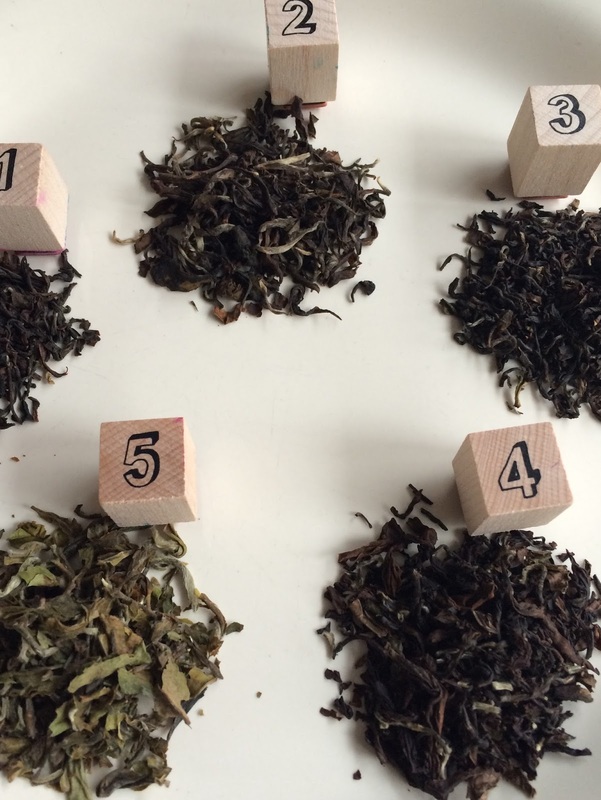 All are second flush/summer teas with the exception of the Castleton Moonlight which is a first flush/spring tea. 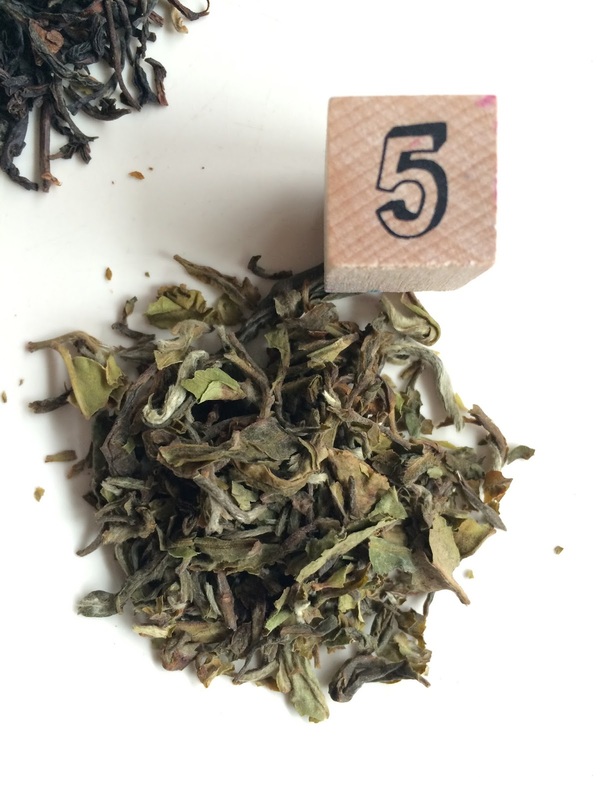 All the dried leaves exuded an herbal, musty aroma. 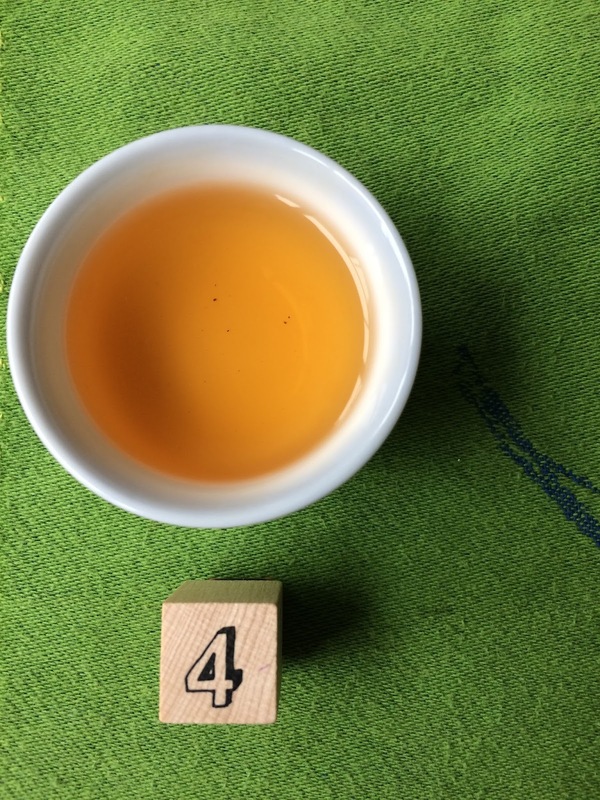 The Giddapahar is my favorite of the flushes with lots of classic Darjeeling flavors and aromas. 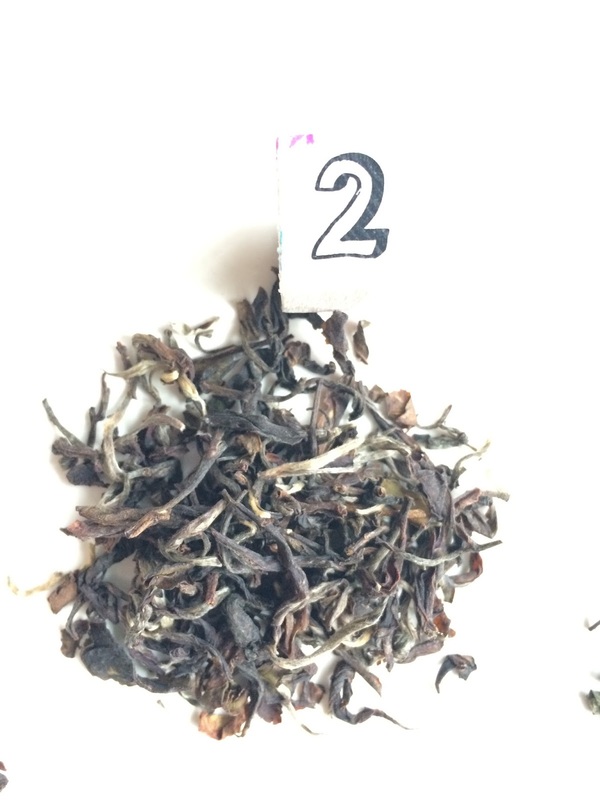 The Thurbo Moonlight was harvested three days later than the Giddapahar on a different estate. The liquor was weakly flavored. 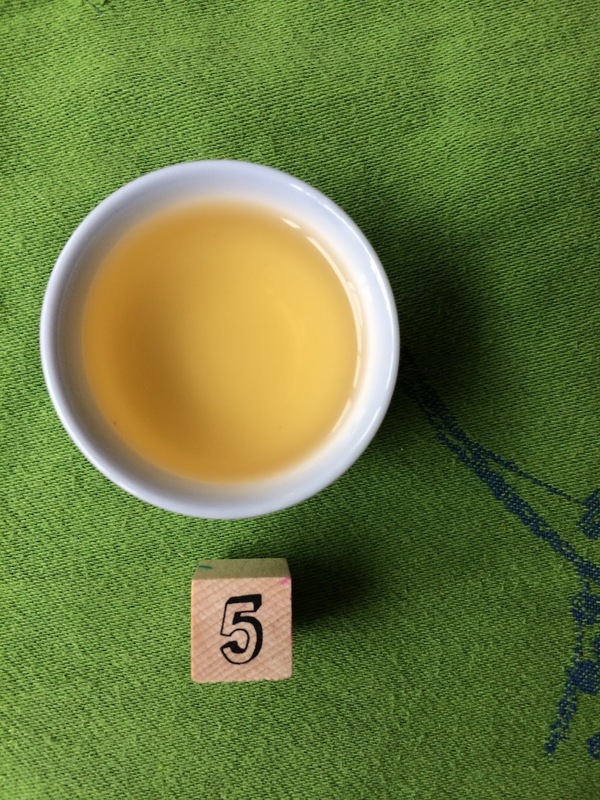 All the teas were prepared in a tasting cup using one teaspoon of dried leaves and steeped in boiling water for three minutes. 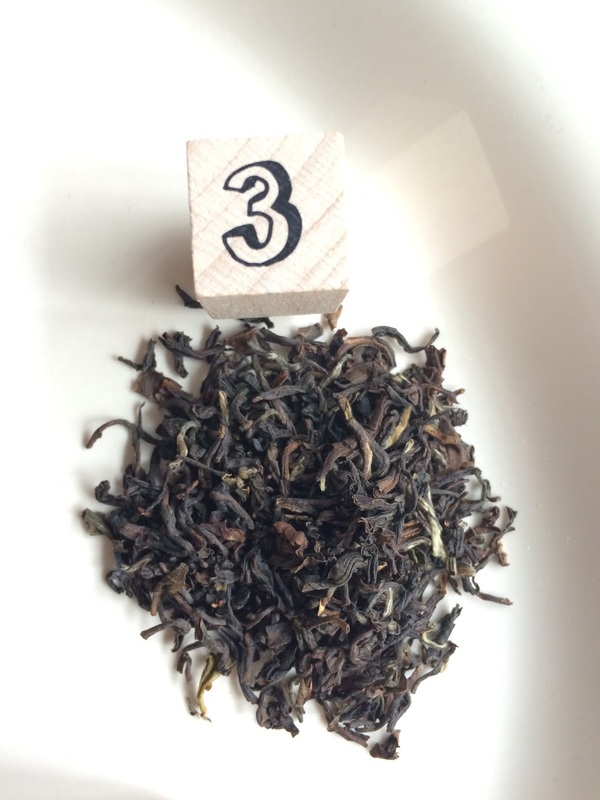 The Goomtee was malty with slightly astringent notes. Look at the rich color of the liquor. 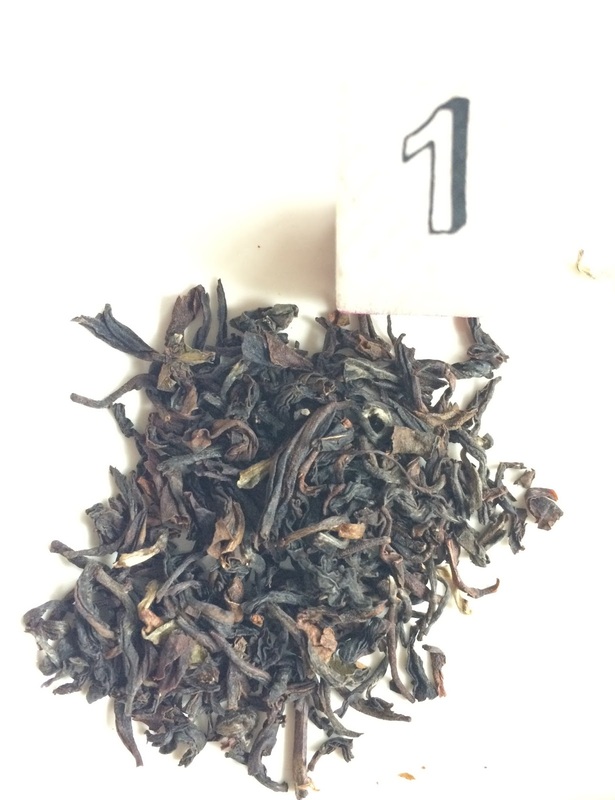 The steeped leaves of the Arya Ruby were dark but the flavor was surprisingly faint. 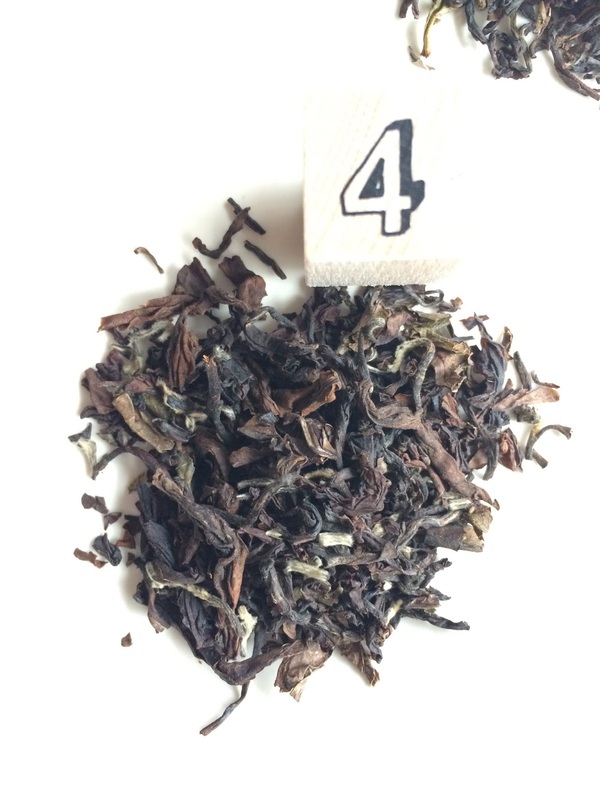 Milder in flavor than the Giddapahar and the Goomtee, the Castleton Moonlight had predominantly floral notes. 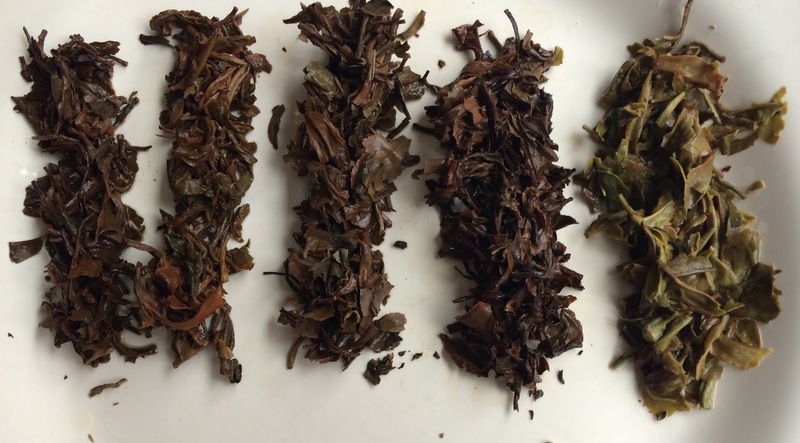 Note the green color of the dried and steeped (see below) leaves as well as the yellow gold color of the liquor. I recommend the Giddapahar! The Goomtee is also a good choice followed by the Castleton. 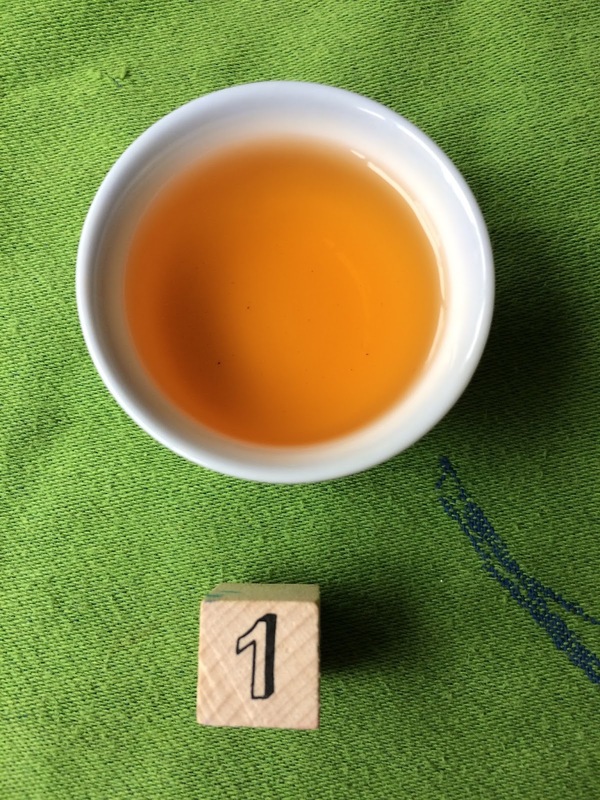 Thank you to Golden Tips Tea for the generous package of Darjeelings and other teas.